Due to current market trends, now is not a great time to be an automaker that specializes in passenger cars. Since most of Fiat Chrysler’s brands are populated by SUVs and trucks, it is actually benefiting from consumers abandoning sedans. In fact, FCA sales were up by 17 percent during November. Last month, FCA sold a total of 181,310 vehicles. That marks the best November sales month for the automaker since 2001. Jeep actually set a new November sales record last month, with a total of 73,784 units sold. That represents a 12 percent sales increase over the 66,001 vehicles Jeep sold last November. The Jeep Cherokee was once again the brand’s best-seller. At the end of the month, Jeep had successfully delivered 20,896 Cherokee vehicles. 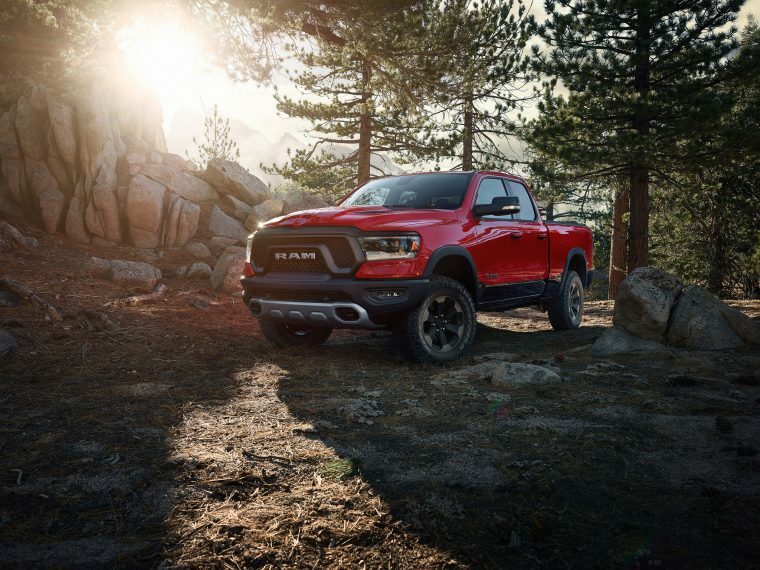 November also represented a new sales record for Ram. Ram’s sales were actually up a massive 44 percent. Most of this success is thanks to the latest generation of Ram 1500 models. At the end of the month, Ram’s year-to-date sales are now 4 percent higher than they were at this point last year. 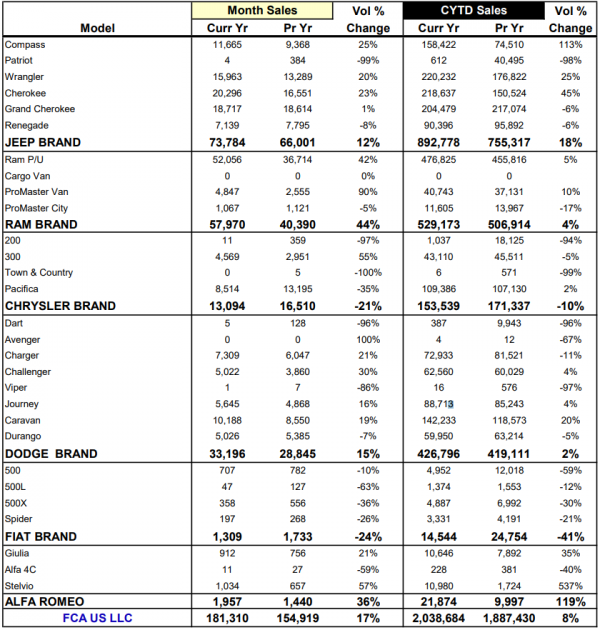 Even the Dodge brand saw increased sales. Dodge sold a total of 33,196 vehicles in November, accounting for a 15 percent sales increase. Whereas other automakers’ sedans are losing ground, both the Charger and the Challenger gained sales last month. 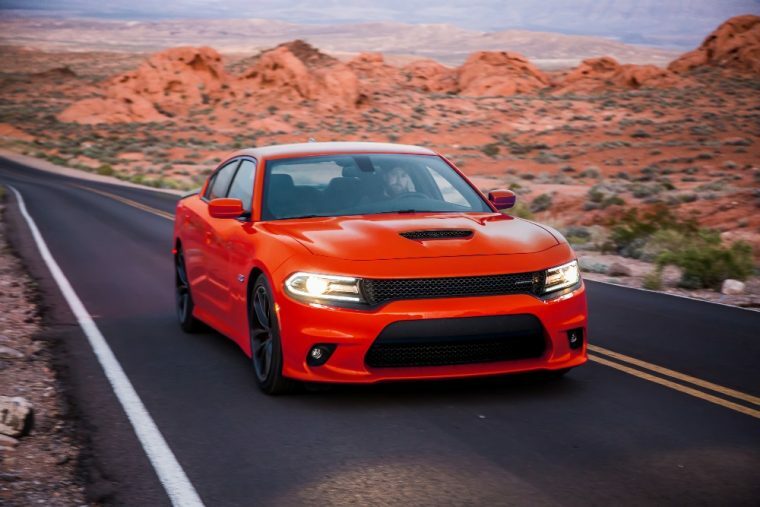 Charger sales were up by 21 percent, while Challenger sales increased a significant 30 percent. Still, the Chrysler brand proper struggled last month. Sales were down by 21 percent, with a total of 13,094 vehicles sold. Surprisingly, the Chrysler 300 actually gained sales in November. 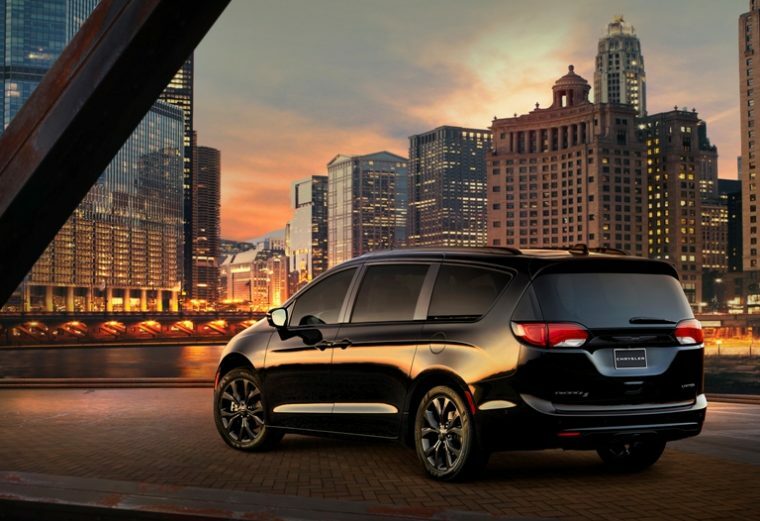 Instead, it was the Pacifica minivan that lost ground, with sales falling 35 percent. So far in 2018, Fiat Chrysler has sold a total of 2,038,684 vehicles, representing an 8 percent sales increase. With only one month left in the year, FCA shows no signs of slowing its sales growth.